The November 2018 Zimbabwe School Examinations Council Advanced Level results are out and candidates can start collecting them from their respective centres today. Zimsec board chairman Professor Eddie Mwenje made the announcement in a Press statement yesterday. “On behalf of the Zimbabwe School Examinations Council Board and management, it gives me pleasure to advise the nation of the release of the November 2018 ZIMSEC Advanced Level Examination results,” he said. “Candidates who sat for this examination will be able to collect their results from their respective centres or schools from today,” he said. Prof Mwenje said the candidates recorded an 81,9 percent pass rate. The pass rate is below the 82,6 percent recorded in November 2017. “It is important to note that in 2017, the Ministry of Primary and Secondary Education introduced a new curriculum for the Advanced Level candidates whose results we are releasing today. The November 2018 Advanced Level examination, therefore, was the first on the new curriculum. “The total number of candidates who sat for the November 2018 A-Level examination was 46 478, which was lower than the 2017 candidate entry of 49 494,” said Prof Mwenje. He said 45 570 candidates wrote two or more subjects. Out of these, 38 050 obtained Grade E or better. School candidates outperformed private candidates. “The November 2018 subject pass rates had slight differences from the previous school curriculum. School candidates outperformed private candidates in all the subjects. Most subjects had pass rates above 75 percent,” said Prof Mwenje. He said geography had the lowest pass rate of 54.71 percent. “The total number of school candidates was 40 300. Of this number 39 811 wrote two or more subjects and 34 139 obtained Grade E or better in two or more subjects, yielding 84.7 percent. Private candidates were 6 178 and of this number 5 759 wrote two or more subjects and 3 944 obtained a Grade E or better in two or more subjects, which translated to a percentage pass rate of 63.8 percent,” said Prof Mwenje. Of the candidates who sat for the examination, 21 457 were males, 21 186 of them wrote at least two subjects and 17 643 passed with two or more subjects, translating to a 82.2 percent pass rate. 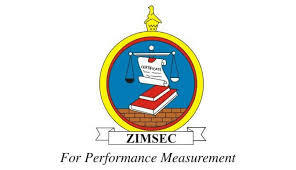 According to Zimsec, 18 842 female candidates sat for the November examinations, 18 624 wrote two or more subjects and 16 460 passd two or more subjects, yielding a pass rate of 87.4 percent. “Special needs candidates were 28 and 24 passed with two or more subjects, which amounted to 85.7 percent pass rate,” said Prof Mwenje. The number of female candidates who wrote at least two subjects, increased in 2018 while male candidates dwindled when compared to 2017. “Candidates who registered three or more subjects were 42 903 and 1 566 obtained 15 points and above which translated to 3.7 percent unlike 5.3 percent recorded in 2017.